Home / brand new / EP / Everything Everything / música / video premiere / Everything Everything release new EP "A Deeper Sea"
Everything Everything release new EP "A Deeper Sea"
Everything Everything are back with a stunning new EP titled A Deeper Sea. The EP is the first new material from the four-piece since their brilliant fourth album A Fever Dream. This brand new music comes as the band gear up for the launch of their UK tour, taking in the biggest venues they've ever headlined. To mark the beginning of our biggest ever UK & Ireland tour in March, we simply wanted to release some new music. After reading some shocking statistics on male suicide we felt inspired to write a new song dealing with male identity and depression; The Mariana. We also really wanted to release a song called Breadwinner, which we recorded with James Ford a year ago, but couldn't find room for on A Fever Dream. Additionally we include a brilliant remix of our song Ivory Tower (from A Fever Dream), by Tom Vek, of whom we have been fans for nearly 15 years. To close, our version of Don't Let It Bring You Down by Neil Young, an artist we greatly admire, which was recorded live in session at BBC Maida Vale Studios for Annie's Mac's Radio 1 Show in July 2017. The idea was inspired by a line in the song; "walk into the wall like you're an NPC", an npc (non-player character) is what you call every character in a game that is controlled by the AI. Depending on the quality of the animation and coding, NPCs are quite often seen moving repetitively in loops, walking in circles, bumping into objects, or staring lifelessly out of the screen. I wanted to make myself into a really badly made character, corrupted programming trying to dance. 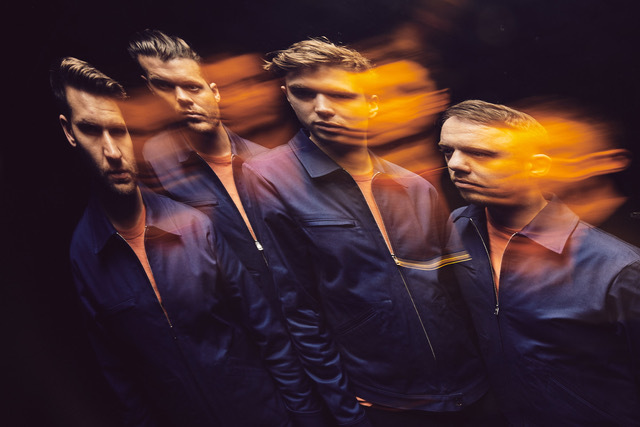 Everything Everything will be joined on tour by Pumarosa (all dates except Dublin), Sundara Karma (London only), Foals DJ set (London only) and David Kitt (Dublin only).